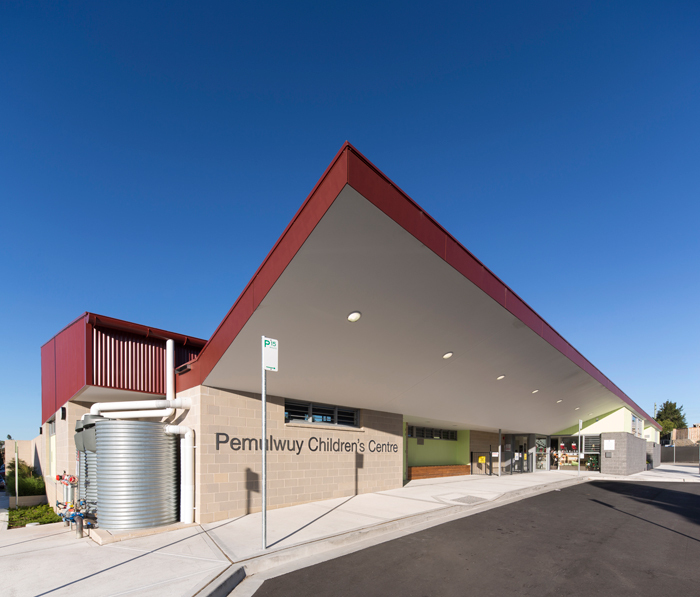 Commissioned by Holroyd City Council, Melocco and Moore were engaged to lead a multi disciplinary team to create a Community Centre to act as the civic hub for the new suburb of Pemulwuy, located West of Parramatta. Delfin Lend Lease are developing the area to house up to 1200 new residences on the site in Greystanes. 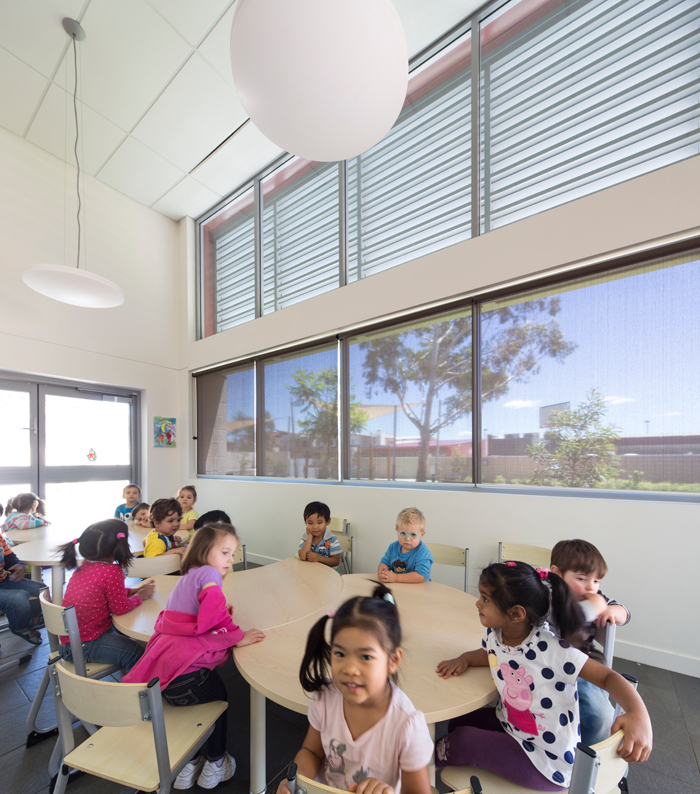 The facilities are divided into two main buildings separated by the external play areas for both the Long Day Care and the OOSH. The central area is a raised above street level as a secure podium surrounded by the building forms and masonry base walls. Three mature trees were maintained and protected to become an integral part of the central outdoor space. 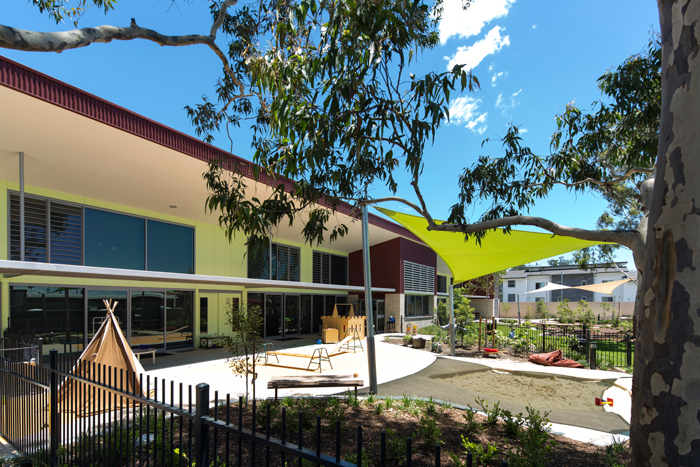 The masonry benches into the site to reinforce the notion of security and privacy for the occupant, and steps down around the site to limit the overshadowing of the play area and maintain a sense of human scale. The first building, a multi-use community centre, occupies the northern edge of the site. The centre houses a hall, two meeting rooms, commercial kitchen, service areas and a separate Youth Centre. 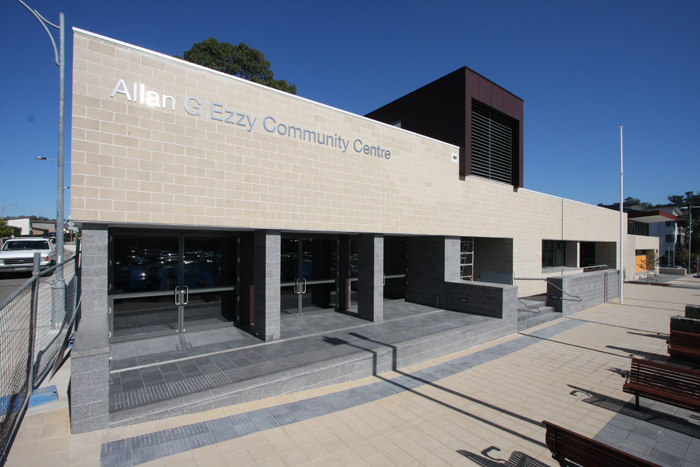 This building is fronted by a pedestrian promenade that links the community facilities to Pemulwuy’s lineal park to the west and the existing supermarket and shopping centre to the east. The second building on the southern side of the site contains a 65 place Long Day Care Centre (LDC) and a 60 place Out Of School Hours care centre (OOSH). 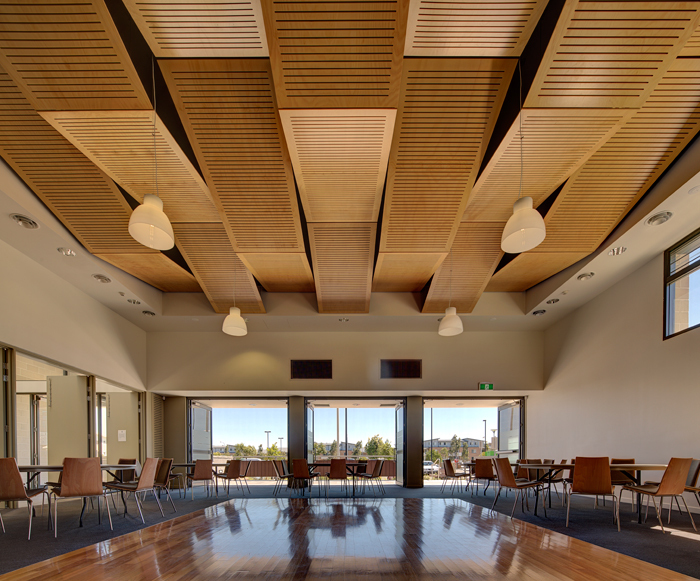 The roof of this building sweeps up to the north providing a filtered transition to the external play areas. To the south, the roof cantilevers over a sheltered vehicular drop-off. The site is wrapped in a continuous band of blockwork that modulates to capture the changing ground levels around the sloping site. The individual buildings are expressed in differing materials that duck under, reach over or pop up from this ribbon of masonry and separate entry points are signified by colour and changing roof forms. The result is a unique but unified civic centre ready to meet the needs of a growing community.